I think one of the main reasons I picked Abattoir Blues and Lyre Of Orpheus was because, as a double album, you get more bang for your buck. Abattoir Blues has a more gospel feel to it, background vocals and big crescendos. Lyre Of Orpheus was generally a quieter record except for the title track, which is one of my favourites. I love the lyrics to that song. One awesome thing about Nick Cave is the darkness and the humour in his stuff. 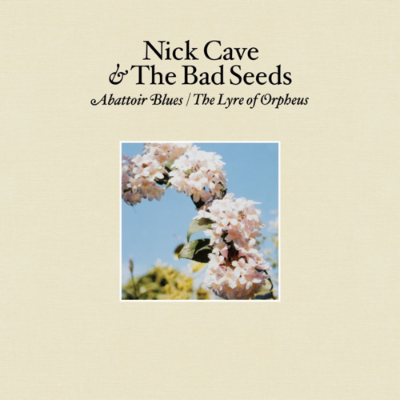 On Abattoir Blues, I love 'There She Goes, My Beautiful World', 'Hiding All Away' and 'Nature Boy'. Just good tunes man. At this point you can hear the Warren Ellis influence. I've always been a Nick Cave fan, since The Birthday Party. My roommate at the time, Charles Peterson [Sub Pop photographer], had a copy of Prayers On Fire and I've been listening to and following Nick Cave ever since then. First time I got to see him he didn't play Seattle, so me and my friends drove three hours north to Vancouver and that was on the First Born Is Dead tour. My favourite ever Nick Cave lyric was going way back to 'Deep In The Woods' [from Mutiny/The Bad Seed] - where it ends with the line, "Tonight we sleep in separate ditches"; that always cracks me up. 20,000 Days On Earth was the best music documentary I've ever seen. It didn't follow the normal "and then he did this and then he did that" of those Behind The Music narratives, it was a surreal and cool peak in to Cave's world. Something I learned about him that I didn't know already is that he likes to eat pizza in front of the TV!